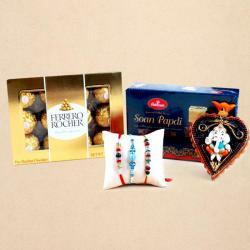 The hamper has been designed in a very simple yet elegant manner and helps you to strengthen your bond with your brother. 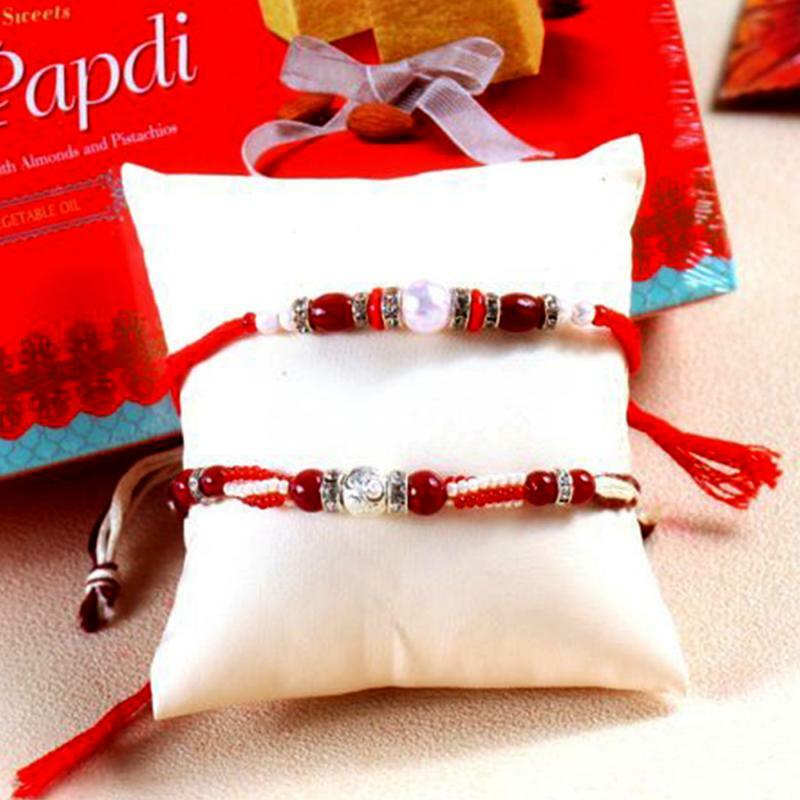 This hamper consists of two beautiful bhaiya rakhis featuring an excellent work of beads to bring out amazing look of the rakhis. 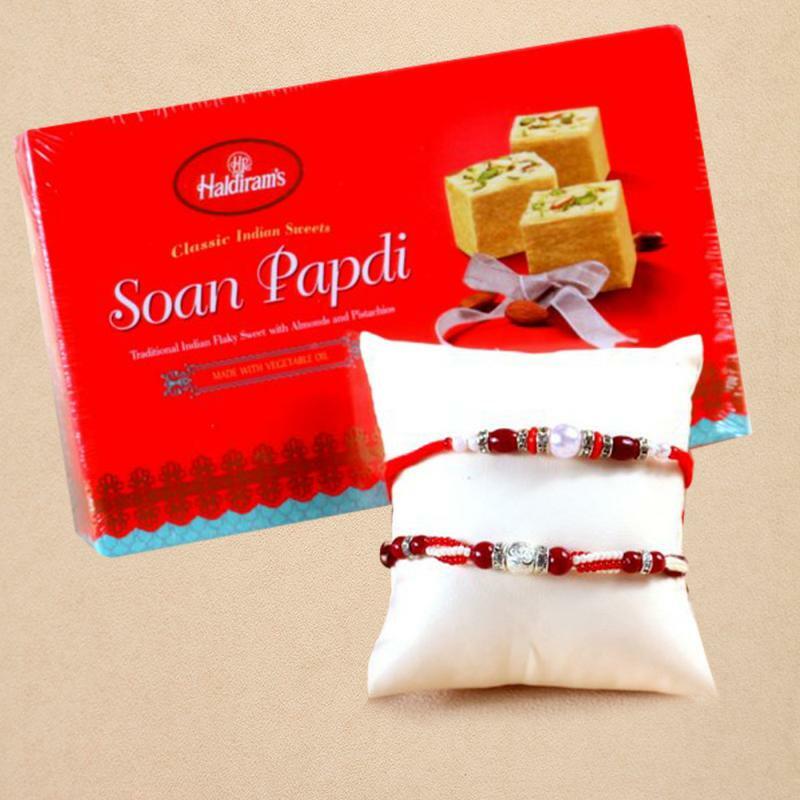 The box Haldirams Soan Papdi along with rakhis gives this combo a traditional touch as well. 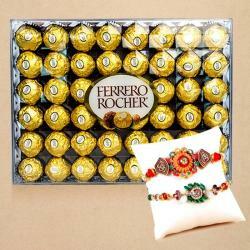 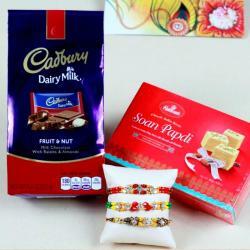 Product Details: Set of 2 Divine Rakhis with Haldirams 250 Gms Soan Papdi.